Steve Lalyk explains why the growing use of mixed heat sources means the control strategy is increasingly important. Traditionally, the design of an energy-efficient heating system has focused on the inherent efficiency of the heating plant (in most cases, boilers), with inclusion of some fairly basic control strategies. Today, however, many projects combine a variety of heat sources with traditional boilers to take advantage of low carbon technologies, improve efficiency and reduce energy consumption. Clearly, the inclusion of these other heat sources is largely driven by the efficiency improvements they offer, so the inherent efficiency is a given. Each of these heat sources, however, has different performance characteristics, which need to be taken into account when determining the control strategy. Failing to do so results in wasted energy. Such historical waste has, at least partly, been due to the limitations of the control options available. In the past, control systems have tended to be quite complex, which makes them difficult to commission, operate and maintain. Inevitably this increases the risk of errors during commissioning so that the plant may not ever have been operating at optimum efficiency. There is now also a recognised need for ‘continuous commissioning’. Even when the plant is commissioned properly in the first place it will need to be recommissioned during its lifetime to maintain efficiency in the light of changes to building fabric or usage. Again, the complexity of control systems can make this difficult and expensive. The use of multiple conventional and low carbon heat sources has added complexity. It has also become apparent that simply tweaking traditional controller designs to try to address these issues has only been partially successful. When multiple heat sources are in use, the system requires a more sophisticated control strategy that has been challenging to deliver with old-style controls. This is why new designs of controller, reengineered from the ground up, have been developed. 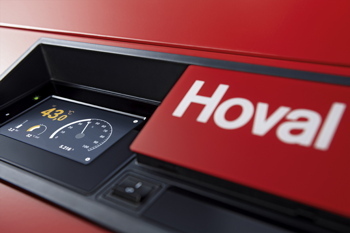 To meet the requirements of modern heating systems (and their owners/operators) such controllers need to deliver new levels of modularity and connectivity. They also need to present a simple interface to the people who will be commissioning the system, and to those who will be using the system on a day-today basis. In this respect, it’s important to allow for the fact that the people responsible for the system on a day-to-day basis are unlikely to have specialist knowledge of heating controls, so their interactions with the system need to be intuitive. This doesn’t mean that the level of control needs to be simple, it means the interface to the underlying sophisticated functionality must be userfriendly. Experience has shown that trying to manage the multiple heat sources that are now commonly found in plant rooms with different controllers is extremely difficult and will usually compromise on overall performance. Consequently, controllers now need to have a ‘wider remit’, to take effective control of a range of heat sources, with the ability to handle single units or operate cascades of heat sources. These heat sources might include boilers (gas, oil, biomass), combined heat and power (CHP), calorifiers, heat pumps and solar thermal. When mixed heat sources are operated in a cascade configuration, the controller needs to take account of the characteristics of each heat source. These mixed systems are very different from the more familiar cascades of modular boilers that have been in use for many years. The same principles apply but in such cases the boilers will typically be ‘topping up’ low carbon heat sources. 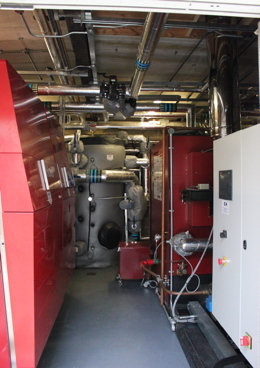 An example of this is when gas-fired CHP is used alongside gas-fired boilers. Here, the CHP will usually be used to meet base heat loads with the gas boilers providing a top-up at times of peak demand. This arrangement needs to maximise the run-times of the CHP, so it’s important that the base heat load is sufficient for the CHP to run for at least three hours each time it fires. This has control implications, because if the gas-fired back-up boilers are brought in too quickly this may cause the CHP to switch off, so that the required run-times are not met and the system is less efficient and cost-effective than should be the case. These issues can be addressed through correct commissioning of the control system. Internet connectivity is now also an expectation of many building operators, so that the system can be monitored remotely from a computer, tablet or smartphone, with alerts for routine or reactive maintenance. Similarly, integration with a building management system using OPC UA, ModBus or KNX interfaces, along with ‘smart grid’ readiness, are rapidly becoming de rigueur. There is also growing demand for controllers that can operate within a heat network environment. Thus compatibility with ‘supervisor’ type controls will support real-time visualisation, monitoring and optimisation of district heating networks. Equally, controllers need to make it easy to re-commission the system to reflect changing heat loads through the life of the building. This may be the result of new tenants; changes to building usage; or staff densities over time; as well as improvements to the thermal performance of the building fabric. In all these cases the control strategy should be updated and this is a far more straightforward process with a control system that is easy to re-configure and re-commission. It helps to ensure that the heating system can be readily aligned with the building’s current usage and thermal performance, in line with the principles of the Government’s ‘Soft Landings’ concept. Steve Lalyk is senior applications specialist with Hoval.